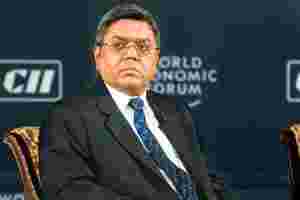 Copenhagen/New Delhi: Suzlon Energy Ltd, India’s biggest maker of wind turbine generators, plans to complete $2.8 billion (Rs13,076 crore) of refinancing by the end of January, chairman Tulsi Tanti said. Suzlon is consolidating its short and long-term loans, working capital and other borrowings into a single loan that’s already been agreed by State Bank of India and IDBI Bank Ltd, the lead banks in the deal, the billionaire said. Another 25 banks will join the group, he said. “The rest of the banks will be completed in another 45 days," Tanti, 51, said in Copenhagen, where he is attending the global climate change treaty talks. “So maybe at the end of January it will be completed." The Ahmedabad-based firm, which scrapped a rights offer last year when markets tumbled, is rewo-rking its debt taken to acquire 91% of Hamburg-based REpower Systems AG after orders slowed because of the global recession. Suzlon sold 35.2% in Hansen Transmissions International NV, its Belgian gearbox making unit, on 19 November to raise around $370 million. “As part of the restructuring, there could be a debt moratorium, maybe for two years, which will give Suzlon some breathing space," said Bhargav Buddhadev, a Mumbai-based analyst at brokerage Noble Group, who has a positive rating on the stock. “The bankruptcy concerns people had will be removed. It will act as a positive trigger for the stock." Suzlon has gained 34% this year, lagging behind the 78% rise it the Bombay Stock Exchange’s Sensitive Index.